Spring is here and you know what that means in Oregon — get outside! What better way to dust off your sense of adventure than a road trip down U.S. Highway 101? With 363 miles of outdoor family fun, there are many opportunities to explore the Oregon Coast for those of all ages. Get in the adventuring mood by starting off with a visit to Lewis and Clark National Historical Park near Astoria, which encompasses several sites along the Columbia River and Pacific coast. 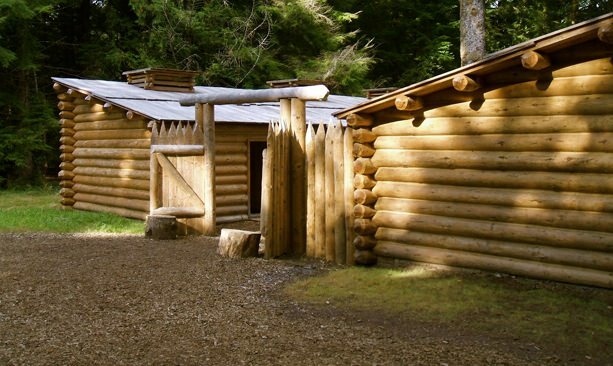 Go back in time at the Fort Clatsop replica to discover what life was like for the expedition party. Stretch your legs on a number of nearby hiking trails that follow many of the same routes used by the expedition. Cape Lookout State Park is a wonderful, majestic peninsula of land that juts out in the ocean with dark forests and scenic views of the water. Learn about local ecology on the Cape Lookout Nature Trail or take a 2.4-mile journey along the scenic Cape Trail to the end of Cape Lookout. Due to migration patterns, whale-watching season begins in March, and the Depoe Bay Whale Watching Center is a perfect spot to watch these majestic creatures. It is located on the seawall and is staffed with volunteers to help you spot whales and answer questions. Newport is a hub for marine biology. For more than 50 years, the Hatfield Marine Science Center (HMSC) has been a base for oceanographic research. The HMSC’s visitor center offers public education exhibits with displays on ocean habitats, fishing, weather and sea life — including a Giant Pacific Octopus. Nearby, the world-famous Oregon Coast Aquarium features animal encounters, a new shipwreck exhibit and one of the largest outdoor seabird aviaries in North America. Also in Newport, the Oregon Museum of Science and Industry (OMSI) Coastal Discovery Center offers special educational programming on coastal ecology, oceanography, geology and zoology. Then again, cowabunga and hang ten! Yes, you can go surfing in Oregon — with a good wetsuit and a surfing lesson. 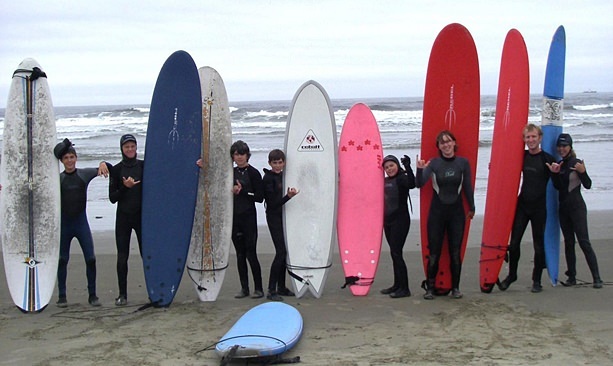 Check out Ossies Surf Shop at Newport’s Agate Beach for surfboard and wetsuit rentals as well as surfing lessons. Fat biking (riding bikes with extra large tires) is the latest cycling craze and the Oregon Coast is a wonderful place to go for a ride on the beach. 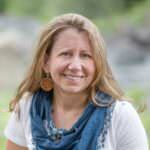 Bike Newport rents fat bikes and can fill you in on routes that might interest you and your family. If you’re ready to drop the gear and just play in the sand, the Oregon Dunes National Recreation Area is 40 miles of a surreal yet beautiful landscape of rolling sand dunes. There are numerous hiking trails, or you can just go to play, jump, roll and romp in the sand. Wildlife is abundant on the Oregon Coast. Kids love tidepooling to find weird and wonderful creatures in the tidal zone. The south cove trail at Cape Arago State Park takes you down to tide pools that are teeming with life. Cape Arago also offers views of large colonies of seals and sea lions. 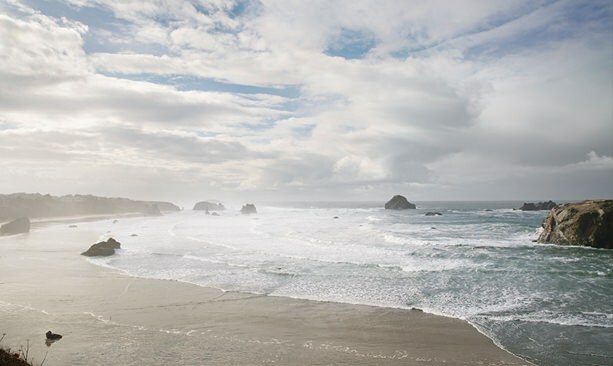 Some of Oregon’s best beach hiking is found right in Bandon. The stretch between Bandon’s South Jetty and Face Rock State Scenic Viewpoint has cool rock islands and sea stacks right offshore and on the beach. You can’t leave the Oregon Coast without fish, and the Gold Beach and Rogue River area is famous for fishing. Anglers come from all over the world to fish at the mouth of the Rogue River. If you love razor clams, try your hand at clamming at one of the popular clamming beaches near Gold Beach. As you can tell, the Oregon Coast has something for the adventurer in all of us this spring.